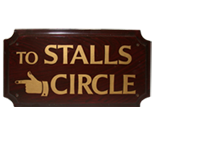 Three theatres have stood on the Covent Garden site since 1732 and material has remained in the theatre which has recorded the history of all three. The role of Archivist has been in existence for many years but it was not until 1969 that it was decided to establish the Archives on a more formal footing and to recruit the first full time Archivist. In the last forty years, an impressive collection of material has been brought together, recording the range of activities and the artists, craftspeople and staff who have been part of its history. More recently the Archives have been renamed Royal Opera House Collections to reflect more accurately the scope of the holdings. The core ROH Collections reflect the range of activities undertaken by the different departments working in the theatre and include everything from choreographic scores, costumes and model boxes to lighting equipment, artist files and house managers reports. Special Collections cover the careers of individuals or the work of organisations associated with the Royal Opera House, for example the Eva Turner Collection. Commissioned Collections are initiated by the Collections department to supplement and enhance the main holdings and include art collections, oral history and photographic record projects. The exhibition draws on all aspects of the Collections to mark a series of anniversaries and events throughout the season. For details see: La traviata at the Royal Opera House; Kenneth MacMillan, Principal Choreographer of The Royal Ballet; Covent Garden: The Third Theatre 1858-1900; Reading the Riot Act: the Second Covent Garden Theatre; Eva Turner Special Collection.